“Who remembers the days after Katrina when tales were spun about why the Superdome should be demolished? Who can imagine the Saints’ road to the Super Bowl being paved anywhere else? Who can imagine the skyline of New Orleans without this landmark? 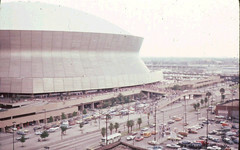 Back in 1966, Dave Dixon convinced the Louisiana Legislature to pass a law enabling the construction of the Superdome. Ground was broken in 1971 on the building designed by Curtis and Davis. She opened on August 5, 1975. 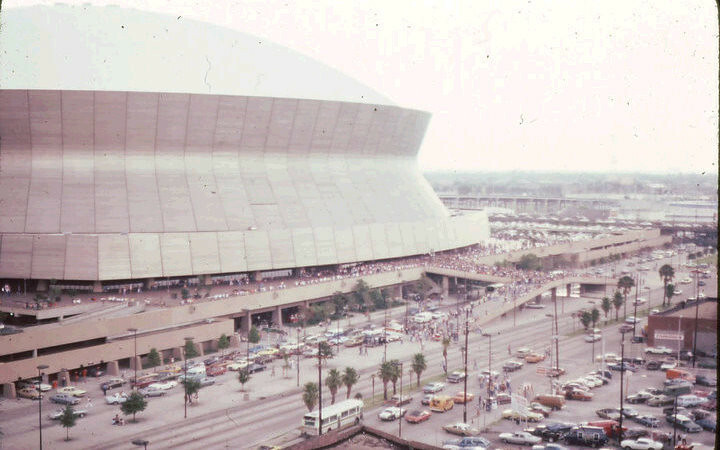 The 35th anniversary of her opening passed without fanfare, as her exterior walls were being clad with new siding, as her roof was getting a new paint job, and as Champions Square was being constructed. She has been a monument to the recovery of New Orleans. Today she houses the 12th man, the Who Dat Nation — the people that lead the recovery of the city. She is an international landmark whose walls tell many stories — the story of how our government failed us and the story of the people that have prevailed. She is the church where we go a few times a year to give testament to our faith in New Orleans and in our Saints. But, at 7:30 pm, I’ll rejoice in the decision to renovate our beloved Superdome and I’ll chant WHO DAT with the rest of New Orleans as the team captain drops his hand!